ORLANDO, FLORIDA-Google has made a lot of changes to its search engine algorithm over the last couple of months, which had many SEO companies scrambling to keep up while their clients’ rankings felt the pain. “If you made it through March without an email from Google or a penalty from Google or a drop in Google organic search traffic due to Panda updates or paid link-related issues, you should give yourself a high five,” says Kerry Dean, an SEO expert and columnist for Search Engine Land. According to our CEO Ali Husayni, none of our clients’ rankings in Google search results were negatively impacted by the latest Panda updates or the newest update from Google that has been coined Penguin. “Our commitment is to stick 100 percent to Google’s webmaster guidelines. 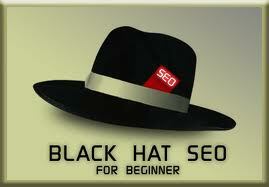 We aren’t involved in any of the black-hat or gray-hat SEO practices that Google is trying to avoid being a victim of,” he says. Black-hat techniques are essentially webspam: deceptive, malicious or manipulative behaviors used to trick the search engine into placing a website higher in rankings even if the content isn’t relevant to the search. It’s really only a matter of time before Google finds out and penalizes the site for using them, which is why they are a waste of time. “Although many people are doing damage control after the updates, trying to get back to pre-update rankings, we have had several clients set new high records for rankings and traffic,” says Husayni. The SEO campaign for Gabriel Carini, who owns Carini Heating And Air Conditioning, has racked up some big results, both with the number of qualified leads and with his company’s Google rankings. Other clients’ SEO campaigns are setting new traffic and ranking records like Tim Booth and Shawn Sandifer, who own a referral site for local contractors across the nation, and Don Gerig Jr. and Matt Gerig, who run a website for Santa Cruz real estate and homes for sale. In all three instances, the clients expect to see even better numbers in the coming months. Husayni reiterates that businesses just need to stay away from SEO companies that resort to black-hat or gray-hat SEO practices for the long-term success of their SEO campaign. Google will continue to take aim at one spam technique after another. Businesses that haven’t done so yet need to clean up their act or suffer the consequences in their websites’ ranking and traffic. Instead of using black-hat SEO and duplicate content to get to the top of Google, focus on beefing up the site with original content, information and resources the business’s target audience is actually interested in. An easy and effective way to add that information to the site is on a WordPress blog. Regularly posting the latest news about the business, promoting specials and upcoming events or articles keeps the site fresh, customers informed and rankings high. It is also imperative that businesses be aware of new tools Google uses to rank sites. Google+ is one of the latest ways that the search engine is determining the popularity and relevancy of a page, which is why Husayni urges businesses to jump into social media. That means doing more than just setting up the business’s Google+ page or Facebook page and posting links back to the website’s content. Social media should be a way to start a conversation with potential clients by sharing the high-quality information being generated about the company, which naturally improves rankings without spamming Google. But by all means, make it easy for website visitors to share the information they find by having the +1 sign for Google+, the Tweet button for Twitter and the Like button for Facebook. The rest of 2012 will no doubt hold another slew of updates to Google’s search engine algorithm, but businesses that want to maintain their rankings instead of seeing numbers drop after major updates would do well to heed Husayni’s advice: stay away from spam techniques and stay updated on the latest tools Google’s using to decide relevancy. We want to hear what your experiences with social media and the latest updates have been. Did you see rankings drop after a recent update? How have you implemented Google+ and other social networks into your search engine optimization marketing efforts? After two months, SEO companies can see the actual effects of Penguin algorithm on their work, now it\’s just matter of time who can find the key elements sooner than the others and who can survive. I totally agree with you. It\’s just a waste of time, for me. I think the Peguin update has put an end to blackhat softwares like Xrumer etc. Using blackhat techniques is always a waste of time, money and even waste of site. Sorry to hear your negative experience. I\’m going to write an article about how to choose an SEO consultant to help businesses like yours. We recently employed a new SEO consultant and he managed to get us from page 1 of Google to page 7. It is going to take us months to climb back up and we are not getting any more on-line orders. Disaster! SEO is like a soccer game; in a soccer game your first aim should be keeping a clean sheet and then you would try to score a goal. Employing techniques that violate Google\’s quality guidelines would be equal to shooting the ball into your own goal. That\’s why we have always said that not doing SEO is better than doing it in a wrong way.